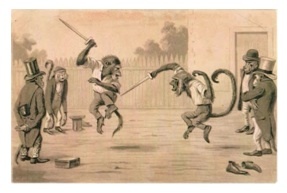 The story behind Matrix Kung Fu, what I often call Monkey Boxing, is interesting, and it is one of the biggest breakthroughs in the history of the martial arts. When I made this breakthrough I had been studying and teaching the martial arts for over thirty years. The one thing that bugged me, had bugged me for years, was that the various arts didn’t all fit together. There were so many holes, so many gaps between arts, points at which the martial arts even seemed to go against each other, and so on. As far as I know, this is the first and only time the martial arts had been looked at as a problem which had to be solved. Up to this point, you see, the Martial Arts were the result of necessity, or of inspiration. They had been cobbled together, bits and pieces put together by location/geography/etc., ordered by whim, passed on by tournament and vested interest, and that sort of thing. But I wanted to solve them, and in this I managed to view the martial arts as a vast, gigantic puzzle. One day I got out all my boxes of notes, my video collections, my books, and even my memory, and I began listing the various techniques of the martial arts on the backs of business cards. I filled out thousands of cards, wrote out techniques on kicking, throws, punches, combos, everything, and I laid the whole mess out on the floor. My living room was covered with cards…and it was a big living room. I had cards filled with techniques on the rug, on the tables, on the furniture, everywhere. My wife came home from work, saw the mess, and thought I was crazy. 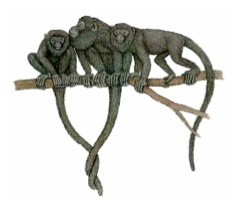 Well, she was likely right, but the monkey was jumping up and down on my back now, I had started, and I had to see the thing through. I began to order the cards, not by art or style, but by technique. I put the kicks over here, the punches there, left handed techniques stacked up there, the various types of throws in little bunches along the wall, and so on. Slowly, I began to look at what I had, and I began to throw away duplicate techniques. Then I began to work on poser techniques, the ones where the attacker has to wait for the defender to finish his moves. The groupings of techniques began to take shape, and I began to realize certain things. There was a geometry that threaded through the arts, and the individual arts could be defined by this geometry. The arts did not go against each other, they actually fit together. And the whole puzzle, all the pieces, began to slide together and form a while picture. Whole chunks of knowledge slid through my mind, turned, and backed into different corners and nooks. Techniques slithered through my head, chose different arts. Arts twisted and morphed and began to take on incredibly simple, and different, shapes. Eventually I wound up with some 72 techniques. I had a school at the time, and I chose one of the students for a test case. His name was Mike. I took Mike aside, and I began to teach him the techniques I had isolated. As I taught him I went through another process–I discovered that even the 72 techniques were too many, and the number of techniques eventually dropped down to 40. 40 techniques covered all the material of the martial arts. Well, not quite, but the specific things I was doing isolated and made clear a whole subsection of the fighting arts. Oddly, it was sort of like Kenpo in certain ways, like Silat in other ways, and like other arts, too. Well, of course. The techniques were spread out through all the arts, so a ‘reverse engineering’ type of concept began working its way through me. Now, here’s the thing. When I began teaching Mike he was a green belt. Had probably three or four months experience. Enough to be solid in his basics, but he was definitely not a polished martial artist. Then I taught him the forty techniques and something amazing happened: he began to move faster, to learn faster, and within a month he was suddenly taking my black belts on and equaling them. These were my black belts, they were good, and Mike was suddenly their equal, and I realized something. The idea that one needed to ‘put muscle memory’ in the body, or some other such stuff, was false. In short, I wasn’t teaching the body, I was teaching the human being. I was imparting knowledge, and that knowledge was working about ten times faster than normal teaching methods. Think about it, some guy says you need to to collect enough bruises before your muscles twitch enough tone able to do a technique. Huh? Does that mean if you hit your child with a piano enough times he will grow up to be Beethoven? Do you understand the point here? Yes, muscle training has to occur–it is a physical art, after all–but the real training occurs in the mind, and the real training consists of…knowledge. All I had done was give Mike knowledge. I hadn’t even drilled him that much, merely relying on his normal classroom basics, and yet the results were out the roof. A green belt taking on Black Belts. And I knew that with a little more practice he was going to be the King Kong in my class. The 40 techniques were having that much effect. And, here’s something that, when I realized it, made me blink: I was the first and only person in history to have solved the martial arts. So I taught some of the other students in my school, and the blinders came off, the floodgates opened wide, and fellows started learning martial arts faster than they had ever been learned in the history of the martial arts. Now, to be sure, the Forty Techniques aren’t everything. They are, however, the first piece of the puzzle. They are the thing that made things come together for me and led to other breakthroughs. Of course, I already knew dozens of martial arts, and the sequences I had learned in, and the people I had learned with, those things all made a difference. Sure, I recommend you do Matrix Karate first, but I’m not so foolish to think that I know you better than you know you. So for Matrix Kung Fu, or any of the arts on this website, do the art that grabs you. Simply, enter into Matrixing where your interest lies. I’d love it if Matrix Karate was the first Matrixed art you study, but the degree of your experiences, the things you have done and the order in which you have done them, they will influence you, so listen to that little voice inside you. 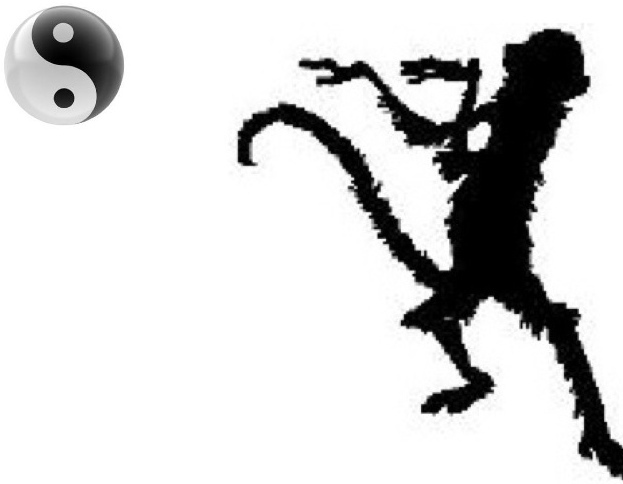 Now, that is the story behind Matrix Kung Fu (MonkeyBoxing), so what does the course actually contain? What Matrix Kung Fu does is explore the only forty takedown techniques you will ever need to know. The reason for this is that all other techniques are made up of these techniques. This is rock solid theory that does not deviate. It is not a whimsical put together. The theory is so simple that it has been hidden. And once you know the theory, even without the forty techniques, the takedowns and throws of your own art will instantly fall into a logic that cannot be denied. But we don’t stop there. We take the body apart, show how the theory applies to each and every joint. This means that even if your art has the majority of techniques that are on this course, you will now have any that it doesn’t have. Furthermore, my experience in teaching these forty techniques is that there is a precise and exact entry method for each technique. I show you all these entry methods and how they work. This means that when distance collapses, which is the constant of any fight, you will understand what it means, and there will never be any mystery as to what to do. I hope you understand what a fantastic breakthrough this is. Not just a bunch of techniques, but how they change, how to reorder them as the distance collapses. The end result is that you will be going through door after door, exploring ‘what if’ after ‘what if,’ and finding the ‘neverending’ truth that is the True Martial Art. And, one very important thing, we show you how to matrix the techniques into freestyle. This is not an art with lots of techniques, and then a separate art of freestyle. This is an art which is applied, without change, directly into fighting. This is totally different than tournament freestyle. This is real combat functionality. So here’s what you get: the original book on CD, and two DVDs showing the forty techniques and how they fit into freestyle. 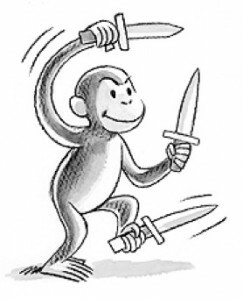 This is the whole weaponless portion of Monkey Boxing. It is a perfect martial art, as it is the art I devised to present matrixing, and to introduce students to the True Art. That’s right, two hundred bucks. I sold a few of them, realized I could make some money, then realized something else: I could change the world of the martial arts. Forever. So, what do I want to do, make money, or leave my footprint on history? The answer to that question is that I changed the price to $29.95! This art fits together with the Blinding Steel program. 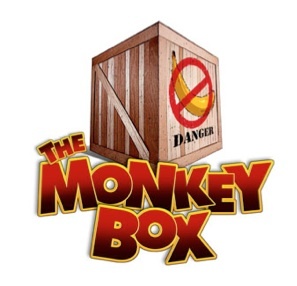 If you wish to explore Monkey Boxing further, simply look into the Blinding Steel program.